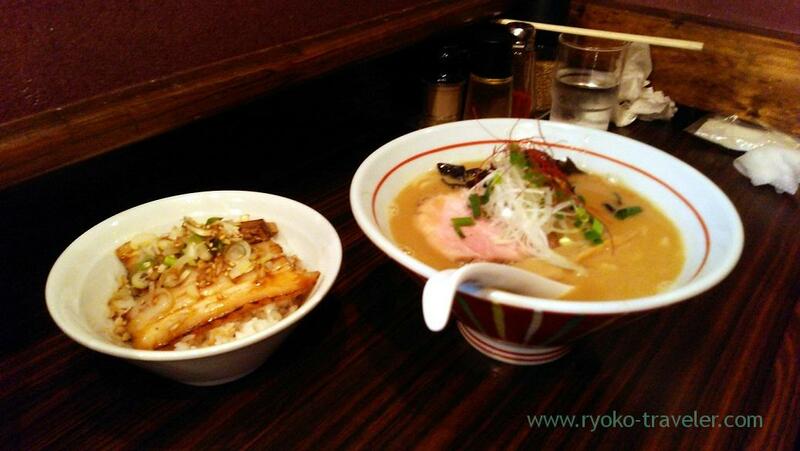 We went to the ramen shop just close to Ichikawa station. 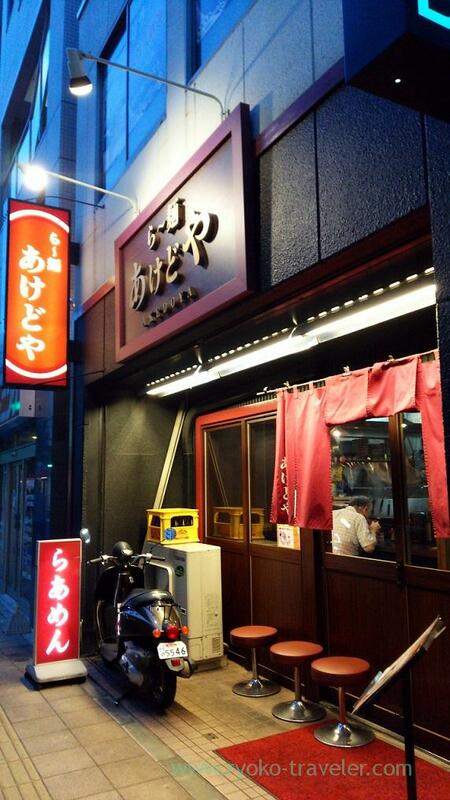 This shop had started as a branch of Ramen Asyura, but they restarted as their original ramen shop. The manager hasn’t changed. 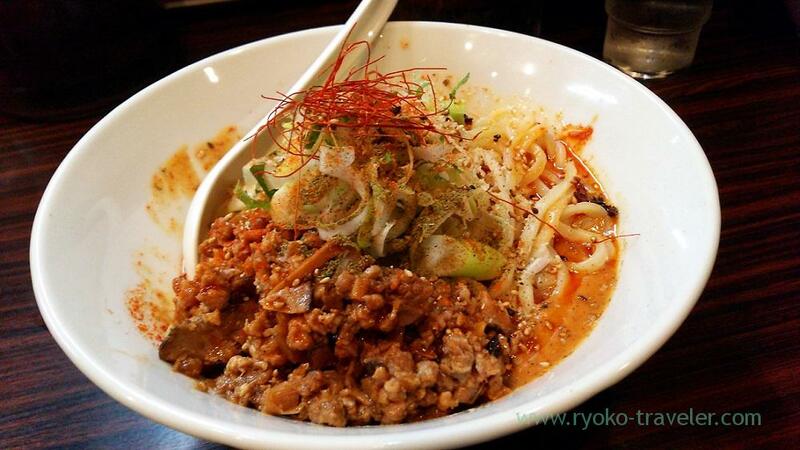 I chose tantanmen noodles without soup (汁無し担々麺, 850 yen). Now, I love tantanmen noodles without soup ! 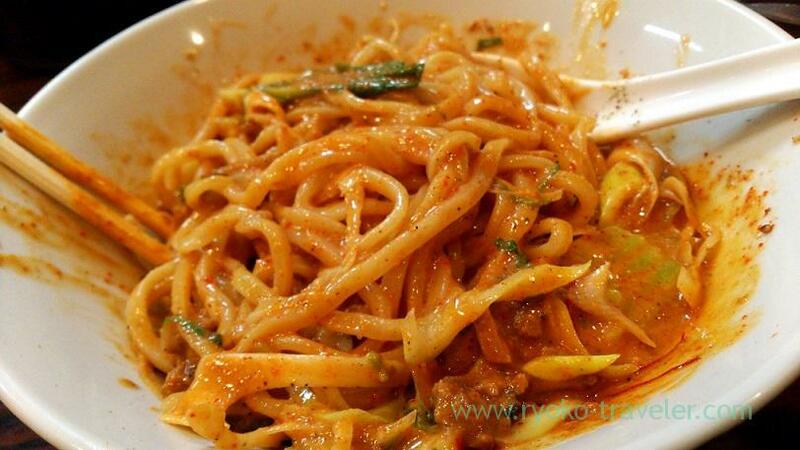 We can choose the degree of spiciness from spicy,very spicy, extremely spicy. I chose very spicy one. It was enough spicy for me. Mixed well all together then ate. Thick noodles dressed with spicy sauce was delicious. My friend chose ramen with very thick shrimp and miso soup (特濃海老味噌麺, 850 yen), and small roast pork bowl (ミニチャーシュー丼, 200 yen). This ramen is served on Sundays only.